Come into the Parlor for clever songs, charming stories, and hilarious sketches each week. Hosted from the piano by acclaimed composer JP Houston, with his wife, comic actress Julie Van Dusen. JP and Julie are joined by special guests from national music acts to raconteurs and stand-ups. 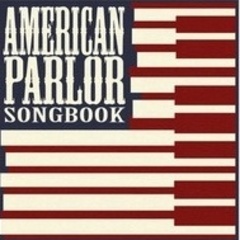 American Parlor Songbook is recorded in front of live audiences at the Tudor House Theater in Lake Arrowhead CA, and at venues across the country. Sketches, stories and songs from Lake Arrowhead, with comedian Ryan Sickler, and pop group TeamMate. An episode about the human voice with singer Coco Love Alcorn and comedian Matt Knudsen. A show about the nature of the universe, with comedian April Hava Shenkman, and folk-swing group Hobo Jazz. An episode about the value of public media, with comedian Steven Benaquist and singer Eva Mikhailovna. An episode from Lake Arrowhead, CA. With performances by Art Podell, Josh Cuadra, Jaden LaRue, and Boomers on a Bench. Sketches, stories, and songs from the studio with musical humorist William Valenti, songwriter Michael Flynn, and comedian Denny Siegel. A collection of sketches, stories, and songs from Lake Arrowhead, CA. With actor Bill Chott, songstress Carly Ritter and more! An episode about winter from The Tudor House in Lake Arrowhead, CA. With comedian Steven Benaquist, and singing duo Freddy & Francine. An episode from the North Pole with Carolyn Mark, Matt Coleman, and Young Mister. Festive sketches, stories, and songs with singer Matt Coleman, and comedian Hailey Jones.